*Count up & count down kitchen timer. *Touch screen and large LCD digital display, with loud and long alarm. *Has a stop and restart function. *Extra-large digits can be read from across the room. *Magnet is attached on the back and can put it on desk with support bracket. *Counts up and down by minutes and seconds up to 99 minutes 59 seconds. 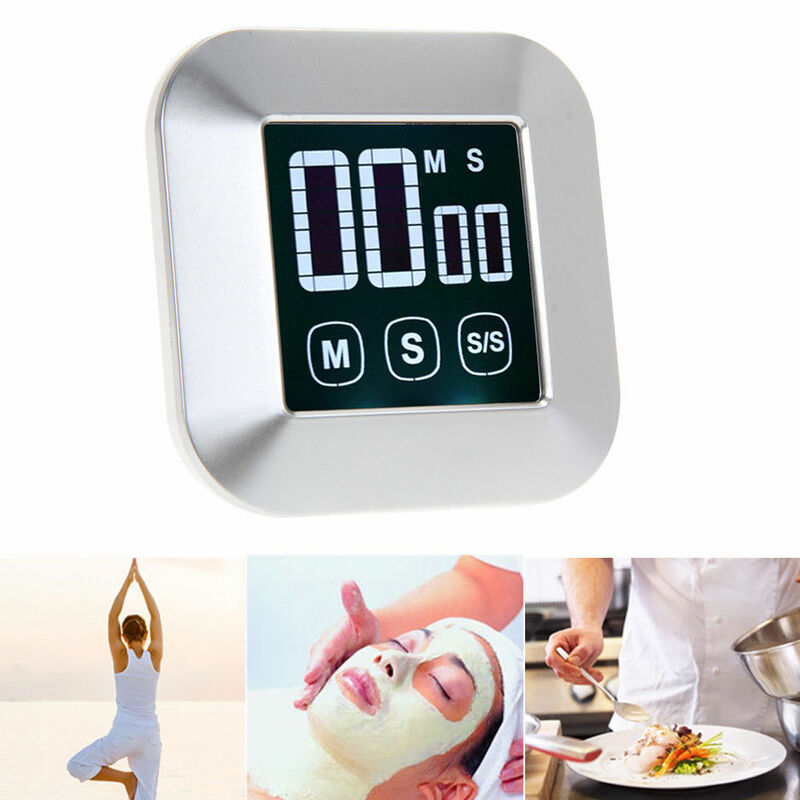 *This handy timer is a perfect accessory for any kitchen whether you are at home or work.